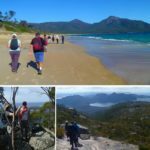 From breathtaking mountain views to pristine beaches and vibrant town life, Tasmania is one of the most beautiful and unique places you’ll ever visit, not only in Australia, but across the globe. 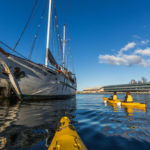 If you’re looking for things to do in Hobart or south Tasmania there are plenty of thrilling outdoor activities to choose from. 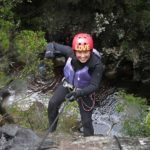 If you’re after some excitement you can go abseiling down the Gordon dam wall or white water rafting. 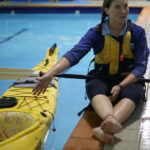 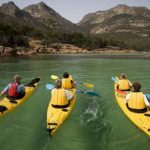 If you’re an ocean lover you should experience a kayaking trip in Wineglass bay or combine oysters and paddling with kayaking tour in Coles bay. 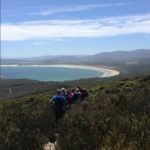 Another thing to do in Tasmania is to experience a stay at the famous Bruny island or go on a horse ride through Hartz Mountains National Park. 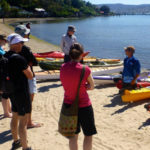 No matter what you decide to do, your trip to Hobart and surrounds will be an experience to remember. 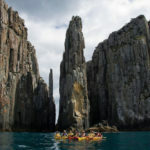 There is plenty to see and many things to do in the north of Tasmania. 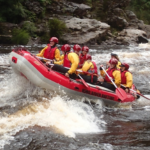 Home to the bustling city of Launceston and the breathtaking Tamar valley, you’ll love the outdoor activities and adventure gift experiences on offer in this area. 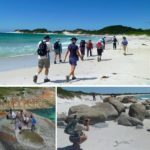 With such gorgeous beaches and stunning scenery, a guided walking experience or forest tour is an excellent idea. 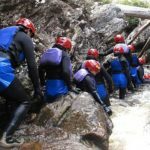 You could also go on a canyoning adventure in Dove Canyon, raft on the Picton, explore the Lost World or simply take in the epic beauty of Narawntapu National Park. 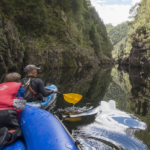 Launceston and the northern region is home to adventures and experiences that will please everyone, and has sites that will make your jaw drop. 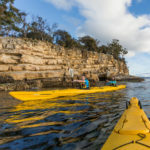 Whether North or South, if you’re planning a trip to Tasmania you certainly won’t run out of things to do. 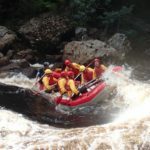 Relaxed or athletic, adventurous or scenic; no matter what your preference there’s a gift experience perfect for you.